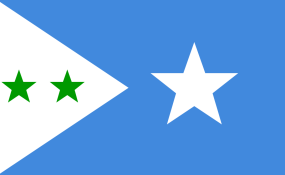 Galmudug, officially Galmudug State, is an autonomous region in central Somalia. The former Lawmaker of Somalia has been elected as the new president of the semi-autonomous State of Galmudug on Wednesday during an election held in Adado town. Haaf won 53 votes, beating his main rival contender, Ahmed Sharif Ali Hilowle got 35 votes while the remaining vote was announced spoiled during the second round of the voting. The speaker of the Parliament has confirmed that Haaf was the winner of the election. In his victory speech, the newly elect president promised to tackle the insecurity in the region and foster relations with the neighbouring regional administrations. Mr Haaf who is also a famous businessman now becomes the second president of Galmudug since 2014 when the regional administration was declared in Adado city in central Somalia.